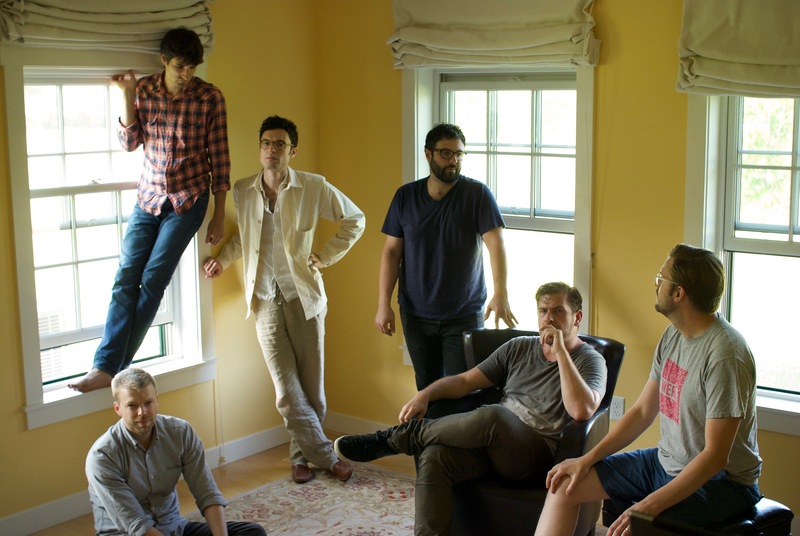 Sleeping Giant is a collective of six young American composers (Timo Andres, Christopher Cerrone, Jacob Cooper, Ted Hearne, Robert Honstein, and Andrew Norman). These “talented guys” (The New Yorker), who are “rapidly gaining notice for their daring innovations, stylistic range and acute attention to instrumental nuance” (WQXR) have composed a diverse body of music that prizes vitality and diversity over a rigid aesthetic. The New York Times hailed Hand Eye, their evening-length collaboration for Eighth Blackbird, a “diverse, eclectic and colorful suite” with “narrative thrust and a structural arc.” Other recent projects include a two-year Music Alive residency with the Albany Symphony and a multi-movement work for cellist Ashley Bathgate. They have presented sold-out concerts at New York’s (Le) Poisson Rouge, Brooklyn’s Littlefield, and at John Zorn’s The Stone. In 2011, they co-wrote Histories, a Stravinsky-inspired work for Ensemble ACJW and the Deviant Septet commissioned by Carnegie Hall.